Looking for a better electricity management? If you are concerned about the costs of your electric bills, then perhaps you should consider advanced metering. Most commercial buildings have no system in place that can measure electricity usage during the month. However, Kerfoot can offer a complete advanced metering solution that will allow you to monitor your electricity consumption. With the ability to monitor, you can now identify areas of concern where appliances might not be operating correctly or efficiently. Advanced metering can provide valuable information to assist you with capital planning. With this insight, you will be able to plan and install more energy efficient equipment and control equipment in areas that can provide the greatest benefit and cost savings. Our system allows for meters to be installed on Main Switchboards. This will help identify usage levels on individual floors in your building or parts of your site. The system can also be installed directly on individual Distribution Boards. By doing so, you will be able to monitor energy consumption for lighting and power in specific areas. This provides you with the ability to pass on any direct consumption costs to a third party. Install a Wi-Fi connection to access the data remotely. 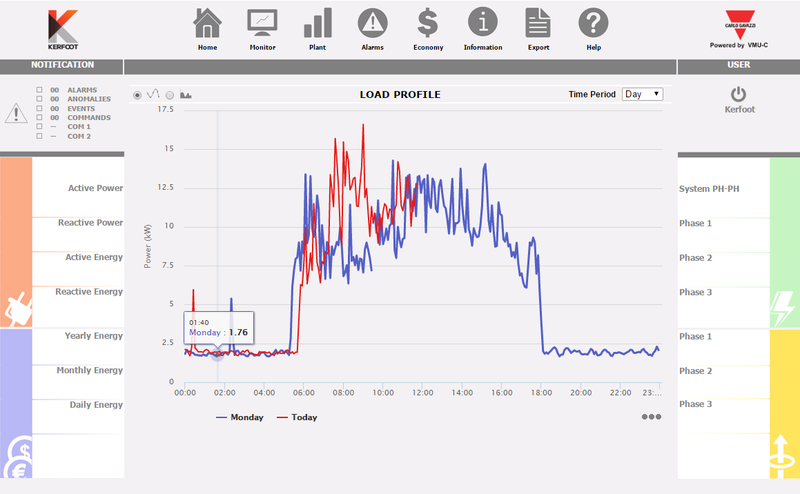 This flexibility gives building managers unparalleled real time access to electricity availability and usage. On a hire basis to record relevant data related to a proposed project or time period. Rather than adopting a one-size-fits-all approach, we customise a solution according to your business needs. We can tailor a solution based on your business needs and building requirements. Kerfoot can design and install an advanced metering solution that is accessible on your network. We will provide you with the basic tools, graphs and reports needed to track your energy consumption.